Stunning plot measuring 2 donums 1 evlec (3010 square metres/two thirds of an English acre) located in a prime position boasting panoramic views of open country side and out to the clear blue Mediterranean sea. Located on the edge of the pretty village of Mehmetcik, on the Southern side of the Karpaz Peninsular, and offering complete privacy. The five star resort of Bafra is around 5 minutes journey time in the car, and offers one of the best sandy beaches in the area. Perfect spot to build your dream home in the sun. Buying Options and land size information. The third largest island in the Mediterranean, Cyprus lies off the southern coast of Turkey . Highest peak is Mount Olympus at the 6.406 ft ( 1.953 m). It is no coincidence that a number of very influential international investors have chosen North Cyprus over other Mediterranean countries in which to invest. This is borne out by the superb yacht marina now open on the Karpaz Peninsula and the massive new five star resort at Bafra to name just two. These people don’t often get it wrong and this vote of confidence may be considered a guide to your own choice of where to buy your home in the sun. The new water supply pipe under the sea from Turkey can only add to the future prosperity of Northern Cyprus and we believe will also add value to property and land investments here. 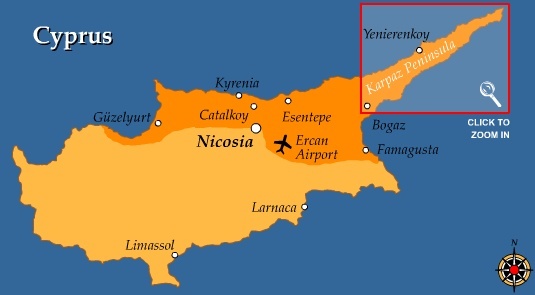 The Turkish Republic of Northern Cyprus is one of the few remaining “undiscovered” places of the Mediterranean. It has a diverse abundance of outstanding and unspoilt natural beauty from the crystal clear waters and golden sandy beaches to the heights of the pine clad mountains and Crusader Castles. With exemptions on income tax, import duties, corporation tax and very low council tax North Cyprus is a property investors’ haven. The past three to four years has seen an increase in foreign investment where we have seen investors from Russia, Israel, Turkey and the UK buying into property, land and large scale developments. With prices around half of that in the south of the island the potential for growth is considerable and real. Although there is an increase in the amount of development going on it is being strictly regulated by the government which is wary of degrading the coastlines and natural beauty of the country with ill-conceived construction projects. Developers are being forced to take the natural surroundings into consideration in order to maintain the integrity of the natural setting. Despite the recent price hikes in the North Cyprus property market, it still offers investors great opportunities to buy real estate at very competitive prices. One such area is the Karpaz region. 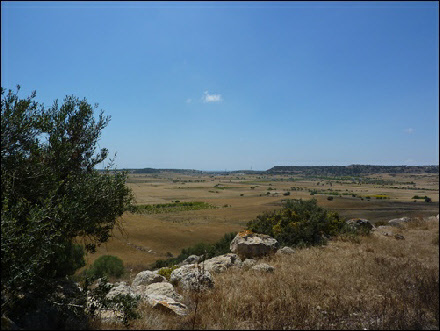 The Karpaz Peninsular is at the northern most tip of Cyprus, pointing out towards Turkey. The region has strict regulations on development and is a protected wildlife sanctuary where rare turtles lay their eggs on the golden sandy beaches, in excess of 300 species of birds pass through every year as they fly along one of the main migratory routes. Wild flowers are in abundance and the landscape is distinct from the rest of the island. It offers a haven of tranquillity for those who wish to explore the ancient monuments, walk or cycle on the mountain tracks or just relax on the beautiful beaches.